WASHINGTON — Ever wonder what it takes to raise a hardworking humanitarian, a distinguished musician or an inspiring community leader? In many cases, it all boils down to an eight-step formula. Inspired by the “fascinating” people they encounter in their respective lines of work, Harvard professor Ronald Ferguson and journalist Tatsha Robertson teamed up to study how successful individuals — educators, elected officials and entrepreneurs — were parented, and if how they were raised had an impact on their accomplishments. Their forthcoming book, “The Formula: Unlocking the Secrets to Raising Highly Successful Children,” highlights personal stories from the more than 10 years of interviews Ferguson and Robertson collected from various projects, and the undeniable pattern that emerged from their research. “There is something universal in the way that these highly successful people were parented,” said Ferguson, director of Harvard’s Achievement Gap Initiative and adjunct lecturer at Harvard Kennedy School. Salaries and job titles were not the basis of success in Ferguson and Robertson’s research. Rather, the two studied what they call “fully realized” individuals, or those who are bright and purpose driven. “Some people think we’re talking about success as getting straight As or having super high test scores, or making more money than anybody else; we’re really talking about the realization of human potential,” Ferguson said. A child’s first few years of life are some of the most important when it comes to mental and social development, so it’s no surprise that shaping success starts at a young age. 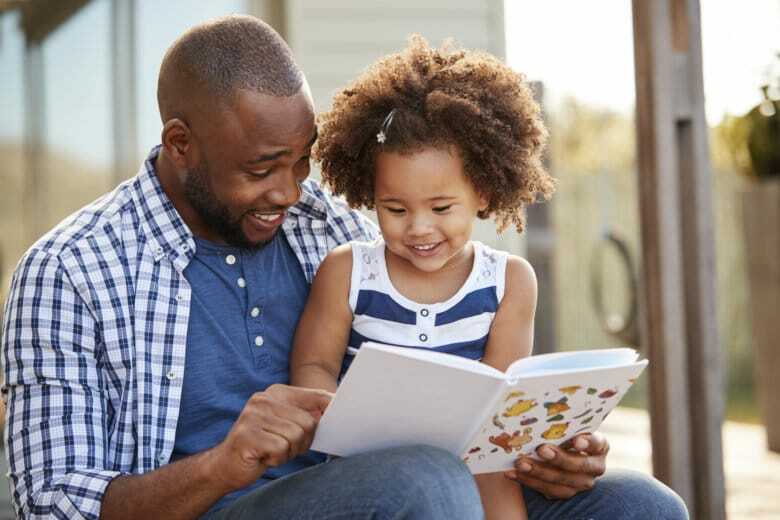 Ferguson and Robertson identify the first role in their formula as “the early-learning partner,” wherein the parent or caregiver fosters an immediate love of learning. “Virtually every one of these families, the parent has spent a lot of time before the child started school, basically beginning from birth, interacting with the child, playing games, doing things that the child perceived as fun, but that were building a love of learning and a love of problem solving, in particular,” said Ferguson, citing examples of block building, storytelling and other engaging games. Often, by the time these early learners start school, they’re ahead of their classmates and have a sense of self-determination to stay that way. “The world is becoming far more complex, and if you don’t give that child a leg up, meaning starting very early, it might hurt them in the long run,” Robertson said. The second and third roles in the formula — “the flight engineer” and “the fixer” — have to do with keeping a child on the right track and making sure opportunities for success are available. “So parents would make great sacrifices just to be sure that particularly in areas where their kids were interested in, that the door to opportunity stayed open, even if the parent had to find an ally to help fill in the missing piece,” said Ferguson, who explained that the parenting roles derived from the research were consistent across racial, ethnic and socioeconomic backgrounds. Robertson shared the story of one mother who couldn’t afford to buy her academically inclined daughter a flute, so she sold her wedding ring. Another example featured in the book details a mother who chose to live in a less desirable shelter, over a more stable one, so her son could attend a better school. “We’re not saying it’s not harder for a parent who is struggling, financially, but in the cases of the people we talked to, they found a way, and most of the time they found help. But they were also just as strategic as everyone else,” Robertson said. Roles four, five and six — “the revealer,” “the philosopher” and “the model” — deal with developing a child’s moral compass and sense of ambition, while role seven, “the negotiator,” teaches a child how to bargain and “behave in ways that will generate respect from other people,” Ferguson explained. The final role in the formula, “the GPS navigational voice,” is the child’s lasting guide. “[It’s] the parent in the child’s head after the parent is no longer around — after child has gone off into the world — and all of the lessons from the earlier roles are resonating,” Ferguson said. There is one caveat to the formula, however, and that is it doesn’t work for every child. Ferguson said some children are more receptive than others — even in the same family. “And so parents need to be a student of the child, to let the child take the lead, and the parent has to know … whether to back off,” Ferguson said.